In May, 2011, we had arrangements to do FOA seminars in Johannesburg, South Africa, Nairobi, Kenya and Lusaka, Zambia. This was an excellend opportunity to go on a safari. 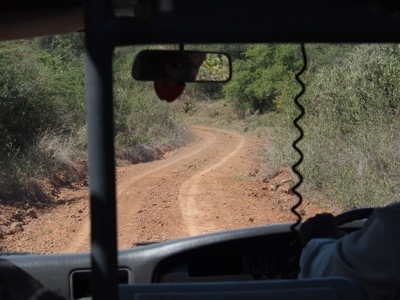 Our business contacts suggested a safari company, Nature's Edge and we arranged for 5 days of visits to Kenyan National Parks. Following the seminar in Lusaka, we had several days before our flights home, so we spent them at a private game lodge. We shot lots of photos (about 2000) but will not bore you with them all. Here are a selection of the ones we found most interesting with our comments. There are 4 sections and each one has a bunch of photos, so you need to view multiple pages to see them all. I have some fascinating video also, looking to put on YouTube. Stay tuned! Here is a guide to the navigation of the photo pages. You can click on any photo for a bigger version and then navigate among the photos in the same way using the buttons on the top left-hand corner. 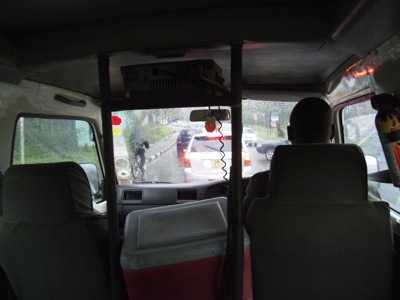 Nairobi traffic in the rain to unpaved backroads in the national parks. 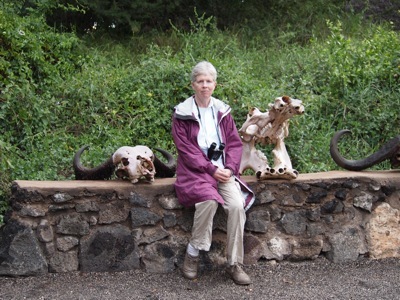 Also included are photos of our visit to the Karen Blixen House (author of Out of Africa) where the movie was shot. Our first stop, lots of interesting animals and some leftovers. 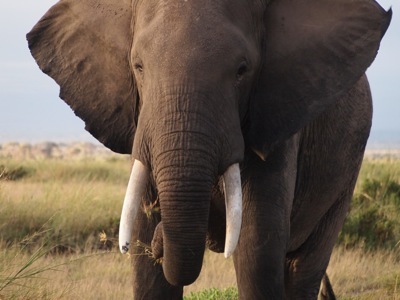 Amboseli is about elephants, hundreds of them, and lots more. 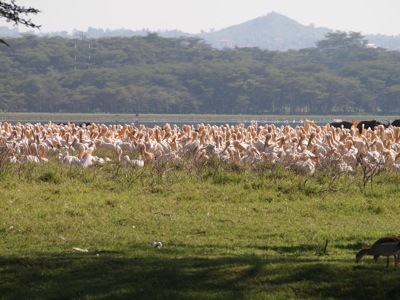 Lake Nakuru is famous for the birds, but there's rhinos, leopards, etc. Don't miss the video of the strange encounter between a dik-dk and a python! It's posted on YouTube. 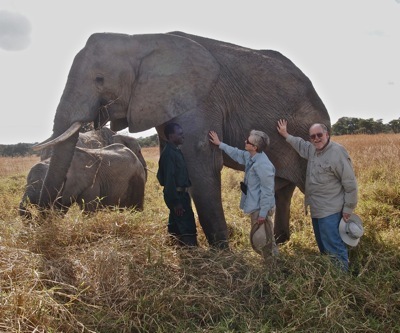 Chaminuka is a private game preserve in Zambia which lets you get close to the elephants and feeds you impala and kudu. 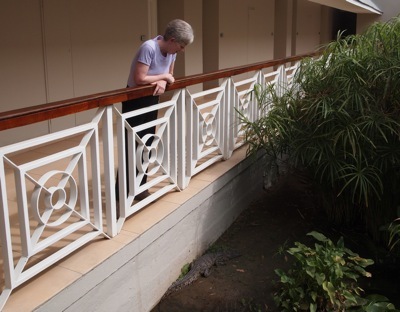 And Finally, Our Surprise At Our Hotel In Lusaka - Crocodiles in the Pond!